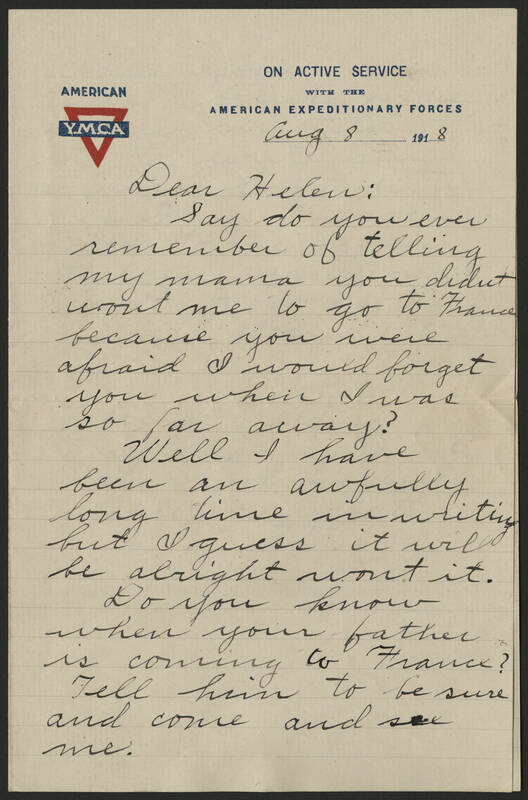 August 8 1989 Dear Helen: Say do you ever remember of telling my mama you didnt want me to go to France because you were afraid I would forget you when I was so far away? Well I have been an awfully long time in writing but I guess it will be alright wont it. Do you know when your father is coming to France? Tell him to be sure and come and see me.